The key to a safe job site is proper planning and execution. One of CentiMark’s mottos is Set Up For Success. This starts prior to the beginning of any production work. 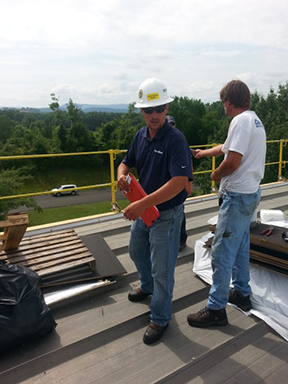 Every job site is different and proper pre-job inspections allow Centimark managers, foreman and crews to evaluate job sites prior to the onset of any production work. These pre-job inspections include discussions with our customers as well as an in-depth evaluation of the upcoming project. This allows time to make adjustments, review the projects with our crews and plan the set-up of our safety systems. By completing thorough pre-job inspections and set-ups for every project, CentiMark is able to ensure that our crews have the necessary tools, equipment and supplies to ensure a safe and efficient work environment. These pre-job inspections are a small investment in time and resources that ensure our crews are always Set Up For Success.